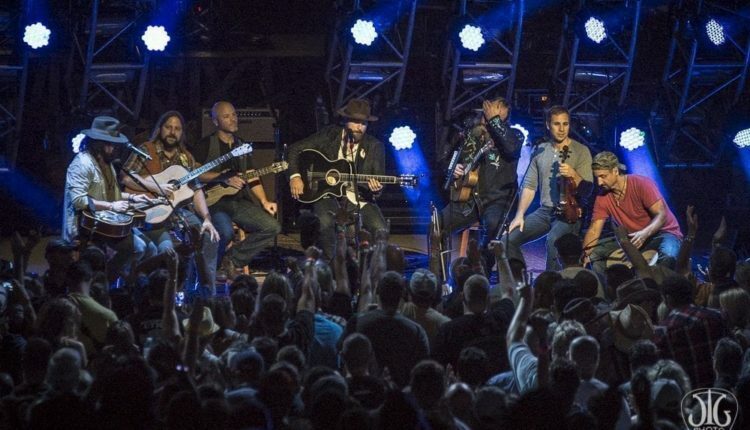 It seems that the Zac Brown Band won’t be slowing down anytime soon with the announcement of their 2019 The Owl Tour, with 36 dates starting this spring and going through to the fall. Opening for the band will be Lukas Nelson and Promise of the Real with Caroline Jones joining the group for nine dates on the tour. Along with the tour announcement, the band is hinting at a brand new album. Both the tour and album will be inspired by the mythology and mystery surrounded by the great horned owl. Tickets for most of the dates go on sale Feb. 8, with tickets to the Boston and Dallas shows going on sale Feb. 15. May 25 — Legends Day – Indianapolis 500 – Indianapolis, Ind. June 7-8 — Bank of New Hampshire Pavilion *- Gilford, N.H.
June 9 —St. Joseph’s Health Amphitheater at Lakeview *- Syracuse, N.Y.
June 15 —Darien Lake Performing Arts Center- Darien Center, N.Y.
June 21 — Bethel Woods Center for the Arts + – Bethel, N.Y.
June 22-23 – P.N.C. Bank Arts Center + – Holmdel, N.J.
June 29 — KeyBank Pavilion – Holmdel, N.J.
June 29 — Hollywood Casino Amphitheater- Tinley Park, Ill.
June 30 — Milwaukee Summerfest- Milwaukee, Wisc. 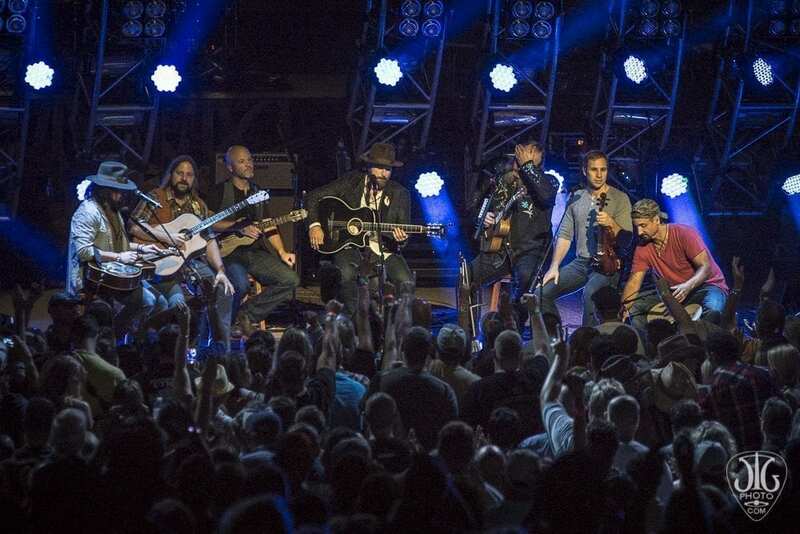 July 21 — Faster Horses Festival – Brooklyn, Mich.
July 25-26 — Five Point Amphitheater- Irvine, Calif.
Aug. 9 —Coors Field * + – Denver, Colo.
Aug. 23 — Nikon at Jones Beach Theater + – Wantagh, N.Y.
Aug. 24 — Nikon at Jones Beach Theater + – Wantagh, N.Y.
Aug. 25 — Jiffy Lube Live + – Bristow, Va.
Aug. 29 — Hershey Park Stadium * – Hershey, Pa.
Aug. 30 — Saratoga Performing Arts Center *- Saratoga Springs, N.Y.
Aug. 31 — Fenway Park *- Boston, Mass. Sept. 6 — BB&T Pavilion *- Camden, N.J.
Sept. 7 —BB&T Pavilion *- Camden, N.J.
Sept. 8 — XFINITY Theatre *- Hartford, Ct.
Sept. 19 — North Island Credit Union Amphitheatre * – Chula Vista, Calif.
Sept. 20 — Shoreline Amphitheater + – Mountain View, Calif.
Oct. 17 — Daily’s Place – Jacksonville, Fla.
Oct. 18 — Coral Sky Amphitheatre * – West Palm Beach, Fla.
Oct. 19 —Coral Sky Amphitheatre *- West Palm Beach, Fla.
Oct. 20 — MIDFLORIDA Credit Union Amphitheatre * – Tampa, Fla.
Oct. 25 — The Walmart Amp. * – Rogers, Ark.